Air Conditioners – What you need to know before you buy. Choosing the right split system air conditioner for your home needn’t be a daunting task. Split System air conditioners come in a range to suit any home design and budget, including cooling, reserve cycle and multi-head systems. Your main aim is to choose a split system that offers the latest technology to ensure maximum energy efficiency, pure air quality and precise temperature control, creating the perfect year round climate. Do you need a reserve cycle air conditioner or one that cools only? 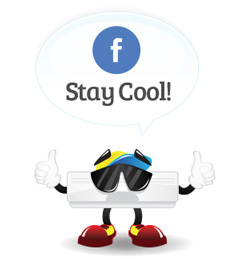 Cooling only Air Conditioning units will cool only, so they are ideal for tropical climates. Reverse cycle units, on the other hand, offer both cooling for summer and heating in winter making your home the perfect temperature all year round. The type of unit is dependent on your individual requirements as well as the climate in which you live. A basic split system air conditioner comes in two pieces: one piece condenser is installed outside the house and a head which is fitted usually to a wall inside the house. Each split system offers individually controlled climate comfort per room. There are also multi-head split system air conditioners (one condenser and multiple heads) which operate on the same principle as a standard split system air conditioner. The difference between inverter and non inverter is the inverter units can alter their speed in response to cooling demand. Some units have an initial over-speed period where they will run at a slightly higher capacity for a set time to pull down the temperature of a hot room. When they reach the set point temperature they can reduce capacity to maintain that level without cycling as much as a normal unit would. This saves power although it’s arbitrary as it would still take a while to recoup the increased purchase costs. They are ideally suited to whole house cooling where you can’t run ductwork, i.e. a slab floor with a flat or cathedral roof. 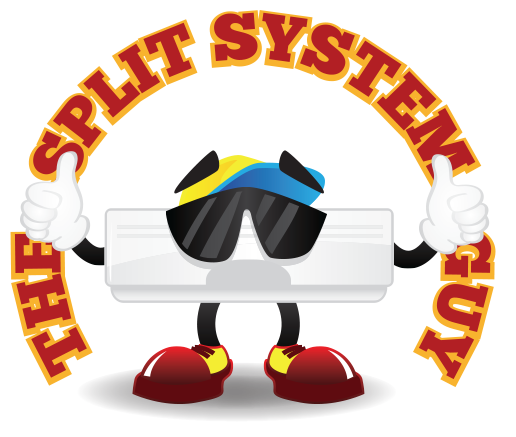 Multi-head split systems are also suited to townhouses and units with limited outdoor areas. What is the size of the room to be air conditioned? The ceiling height and floor area of the room will determine the capacity of the Air Conditioning unit that you will need – the larger the room, the larger the capacity of the Air Conditioning unit. If the Air Conditioning unit is too small, it will not be as effective or energy efficient, and may use a higher amount of energy to cool or heat effectively. Take measurements of your room (including ceiling height) with you in store Tip: Draw up your home / or rooms that need to be air conditioned on the grid page provided at the back of the booklet. Do you have wall or ceiling insulation? Areas with no wall or ceiling insulation will require more capacity to air condition than an insulated room. This is because an insulated area retains heat in winter and repels heat in summer, as heat is unable to transfer through the roof or walls of your home. Insulation will also improve your Air Conditioner unit’s energy efficiency as it won’t need to work as hard. How big are your windows and what direction do they face? Windows also affect the natural temperature of the room, so their size and position should be considered before installing an Air Conditioning unit. The aspect or direction the windows face (i.e. west facing – direct afternoon sun or east facing – direct morning sun) will impact the ambient temperature. Also, window coverings (blinds or curtains) can reduce the loss of heat from the room, compared with windows with none or lightweight coverings. Knowing the impact of the windows on a room will assist in determining the right air conditioning unit for your room. So, once you have the measurements of the room, make sure you note down the height and width of your windows too. How is the capacity or size of an Air Conditioner unit measured? The Australian standard measures the capacity (heating and cooling power) of an Air Conditioners with Kilowatts (kW). This is a measure of an air conditioners output capacity – the amount of heat that will be removed (cooling) or added (heating) to the room/s in your house. These measurements are shown on the Energy Efficiency Rating label found on all air conditioners as Capacity Output kW and Power Input kW. The Energy Efficient Rating was introduced to give consumers independent and standardised energy efficiency information to compare the performance of domestic appliances on an easy-to-read label. 1) The star rating gives a quick comparative assessment of the model’s energy efficiency – the higher the number of stars, the better the energy performance. 2) A number (usually shown as kilowatt hours kW/year) that estimates of the annual energy consumption of the appliance. This number is calculated from test results combined with the Australian average household usage estimates – the lower the number the better the energy consumption, and cheaper the running costs. The Energy Rating Label was first introduced in 1986 in NSW and Victoria. It is now mandatory in all states and territories to be displayed on refrigerators, freezers, washing machines, clothes dryers, dishwashers and air-conditioners (single phase only). Three phase Air Conditioners may carry an energy label if the suppliers choose to apply for one. Location of the Air Conditioner units – both indoor and outdoor. Because an Air Conditioner has two components – an indoor and outdoor unit – you will need to consider where both will be installed in your home when selecting your Air Conditioning unit. You will need to ensure the indoor unit will have a solid outdoors facing wall to be installed on. Given the indoor unit will be a fixed feature in your house or apartment, the aesthetic appearance is important. Choose your Air Conditioning unit wisely to ensure the design complements your home. Make sure there is plenty of room around the outdoor unit so air can freely flow in and out of it. If you live in an apartment or in high density housing, ensure you have ample area for the outdoor unit to be installed.